Here you will find a listing of things that the radical historian might find of interest. To filter the results use the menu below. 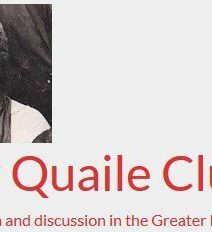 The Mary Quaile Club: History, activism and discussion in the Greater Manchester area. A radical history group from Frome and Bath. "Founded in 1960, the Society for the Study of Labour History (SSLH) is the UK’s principal organisation dedicated to the study of labour history. Membership is open to everyone who would like to learn more about labour history and heritage whether on a professional or amateur basis. The SSLH publishes the journal the Labour History Review, organises regular conferences and actively promotes the preservation of historical resources connected to the labour movement." "Founded in 1967, the North East Labour History Society is Britain's oldest regional labour history society. It is dedicated to the study of working people's history in the region, particularly during the modern period. We have a committee drawn up from labour historians and activists in the region. We encourage an atmosphere of debate and discussion on both historical and contemporary issues."